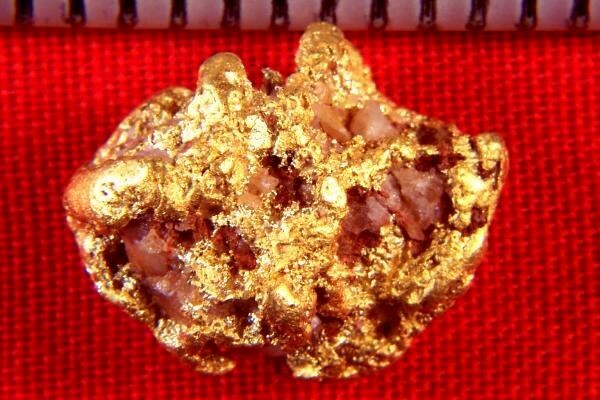 This is a rare Gold Nugget from Cotton Creek in Mariposa County, California. Cotton Creek is a seasonal creek and this nugget was recovered using a metal detector. It is very shiny and has gorgeous color and texture. It feels great to hold it in your hand. The size is 9/16" x 7/16" and the weight is 4.4 Grams (67.9 Grains). 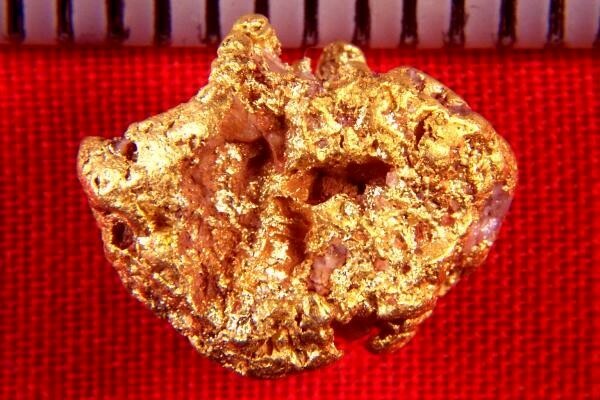 Found in the historic gold fields of the Gold Country of California, this awesome California Gold Nugget would be a very good investment or a nice addition to your collection.